It is our pleasure to announce that Anderson McTague’s own Gregor McAvity has been recognized as one of Insurance Business Magazine’s 2017 “Young Guns” in the Canadian Insurance Industry. It is hard to believe that Gregor has been part of the Anderson McTague Team for 7 years, beginning on a “part-time” basis while he completed his B.B.A. degree from the University of New Brunswick. 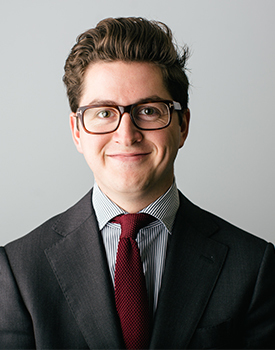 With up-and-coming young professionals as talented as Gregor, Anderson McTague is well positioned for the years to come. We’re excited to continue to provide excellent support and service for our broker partners well into the future. Please join me in acknowledging Gregor’s achievement on the national stage.